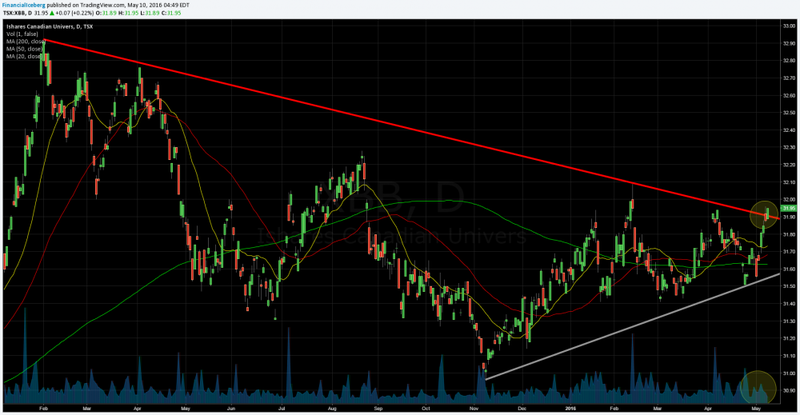 Canadian Bonds ETF XBB: Near Breakout? ​huge ​wedge pattern that started back since February 2 2015. ​a technical set up that will bring volatility sooner than later as shown by ​the ​​first ​​chart ​below.